The past few years, I've heard the same concern voiced over and over…tutors want a magic formula that will lead them to new students-like yesterday! I know you are excited about your fabulous decision to be a tutor, but you've got to remember it takes time to build your business and find those students. How can you do that? By making sure you have your tutor business listed in several different locations on the web and in real life too (we'll chat about in more depth another time). Out of all the sites I am about to list, I don't recommend one over the other. Quite honestly, if their features work for you–please sign up for all of them! You want to be visible on many different websites because no two people that search on the web are exactly alike. With all the possible variations a parent or student could type in a search bar to find a tutor, you would be wise to have yourself listed on several sites so they find you! As I looked around on each of these sites, I cannot emphasize enough how important a good picture of you is–SO SO important! This is one of the key ways a parent will decide to go with you or not. Read more about taking your own pic using your iPhone. Onto the list! Wyzant.com is one of the first sites that most tutors encounter because this company has been around for a long time, so their search results for local tutors is excellent. This company can bring you students, but it does come with a price tag. Adjust your rates to take into consideration their finding fees. Knowledge Roundtable is a central hub for tutors and clients to find each other. Their website features sleek design with a clearly defined action you must take when landing on the homepage. The homepage asks, “What and Where?” and then prompts you to click on the button to “Find Knowledge”. Clients then are taken to search results where they can browse for a tutor for help. As a tutor, you can also use the “Give Knowledge” link to find jobs and also list yourself on their website. You'll also find lots of insight into the world of tutoring through their blog. Onlessons is a pretty cool site! I love their tag line: Lean. Teach. Anything. You can find all kinds of services on there. Some of the features I love about their site–you can upload your policies, waivers, newsletters, and other helpful documents. I haven't added them to my listing yet, but I plan to do so here in the near future. OnLessons also makes leaving feedback hassle free and provides a link to share with your students. You can also use their buttons to drive traffic from your own tutor website to your onLessons profile where parents can reserve time with you. Why would you want to do that?? If you want to accept online payment but don't want to deal with having it set up on your own site, onLessons can provide that for you with your Paypal account. 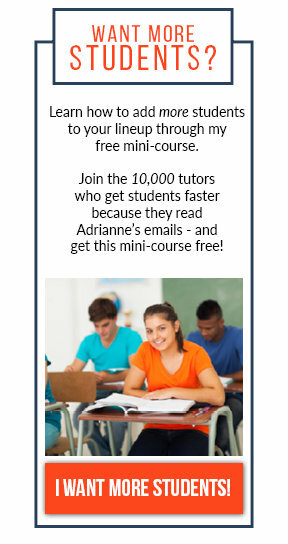 Another thing I like about onLessons, they actively promote their site and individual tutors. Just recently they did a shout out for me on Facebook! (upgraded profile feature) Love that. They sent me an email too so I would be on the look out for it. When you upgrade, you also get this handy dandy guide for pricing your tutor services. It was such an awesome guide with advice I've found to be true over the past 8 years I've been tutoring. It even has rates broken down by city inside. Nextdoor is the private social network for you, your neighbors and your community. It's the easiest way for you and your neighbors to talk online and make all of your lives better in the real world. And it's free. Tutors can list their services here on this social network for free. Many tutors have reported getting new student leads within days of signing up! 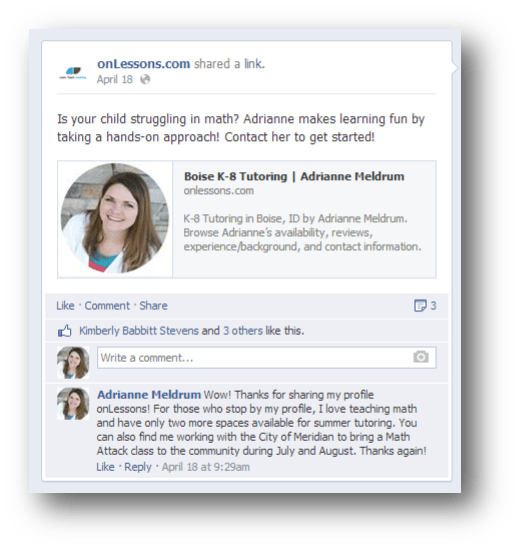 Tutor Matching Service is a recommendation from Angela Cully of Math Ninja! While attending the Think Bright! Semi-annual Tutor Conference, she mentioned that Tutor Matching Service sends her a lot of referrals! I haven't set up my account yet, but here's what I can tell you. 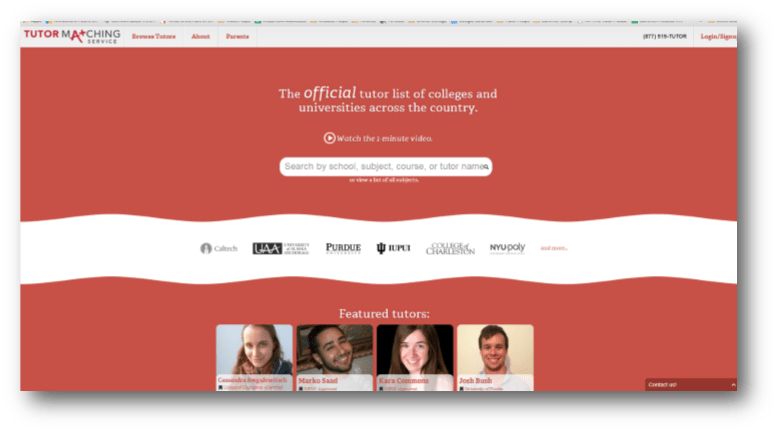 It's free to set up your tutor listing. 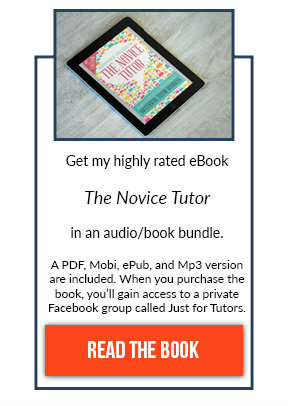 They take 10% of your tutor rate to offset their cost of running their site. Tutor Matching Service also handles payment for you and even covers credit card fees so you don't have to. So–if you tutor high school and college level subject, definitely give them a try! Super Prof is Europe's #1 tutor network and offers bonuses such as tutors keeping 100% of their own rates with the option to tutor locally or online. Creating a profile is easy and can connect to your Facebook profile. I love that you can include a video of yourself and that there are places for students to review the experience they had with you. Make sure to check out what other tutors are offering in your area. View US tutors here. View UK tutor here. As with all of these listing services, compare your hourly rate against the majority of tutors to make an informed decision about choosing to list here. If the majority of the rates are well below what you charge, these sites may not be worth your time. Also do a search for a tutor in your community and take note if any of these websites show up in a local search result. If they do not, choose to join tutor listing websites that do show up in local results. It's important for you to have your own website too! The internet is a big place and you need as much real estate on it as you can get! I've seen a big upswing this year in referrals coming from my website instead of the various lists that I am on. You've got to have a website that is clean, clearly written, and features your good looking face! Yes, parents want to know you are a real person and see what you have to offer. Plus–don't discount traditional marketing such as flyers, brochures, business cards, and ad space in printed publications! A blend of all of the approaches will help more people get their eyes on you. If you really want to grow your business and make a consistent income…you've got to have a game plan that incorporates many of these websites listed. Don't you worry though…I'll help you the best I can! Be sure to watch for more posts with website ideas galore–we'll take a little virtual field trip of tutor websites. Thanks for sharing! I haven’t heard of a couple of these, or I just forgot about them 🙂 Definitely putting these on my to-do list! 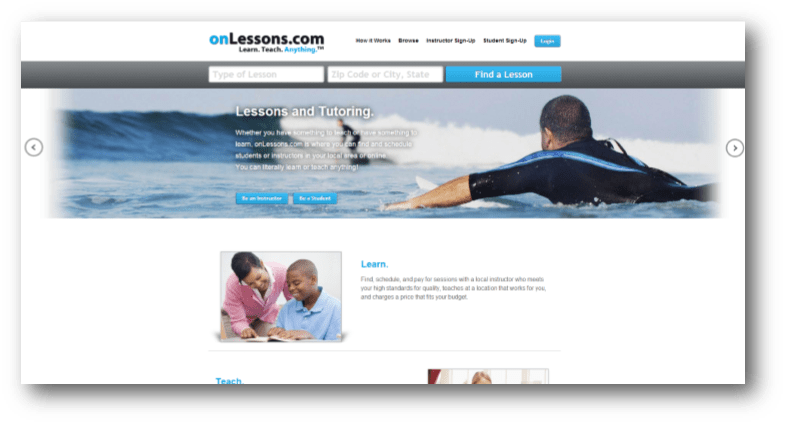 +1 for onLessons.com! I manage my entire schedule there, and I love how easy it is to build a profile. Question, what are your thoughts on Craigslist? Good or bad to list there? Hey Thomas! Yes onLessons is super cool. I just got an email today telling me that I was featured on a Google Ad! As far as Craigslist goes, people do have a lot of success over there. I did use it at one time to list, but started getting some very strange inquiries. To say the least, one 18 year old basically asked me to behave like his mother and keep him in line. Um–no. But I can tell you that a lot of people use it. If you decide to do an ad, make sure to include a picture of you and possibly your logo! You’ll stand out for sure because most ads for services don’t contain images. Be as specific as you can and add a list of keywords at the bottom of your post to help you show up in more search results. Thanks for stopping by Thomas! You’re welcome Rachel! Thanks for spending some time commenting. I feel the love 🙂 I would love to hear how it goes with some of these websites. Keep me in the loop.